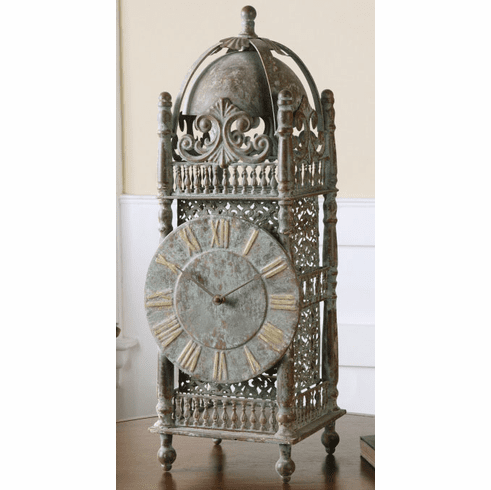 Made from iron, this table clock features a light chestnut brown finish with a heavy sage green glaze. Quartz movement. Dimensions: H: 27", W: 9", D: 9"